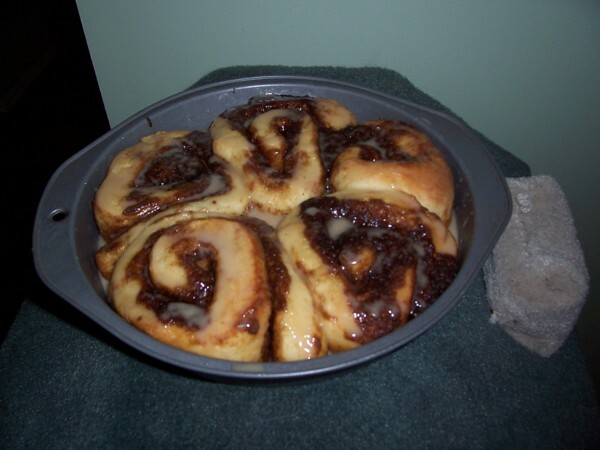 I’ve had a mild obsession with sticky buns (or cinnamon buns) for as long as I can remember. I recall being a tween at the shopping mall and lining up for what felt like hours to order one at Saint Cinnamon. I don’t think that franchise exists anymore, and even if it did, its products are not vegan. Auntie Loo knows that people love cinnamon buns, which is why she’s concocted a tempting Christmas treat. It’s almost unfair, really. 😉 She’s offering Auntie Loo’s Christmas Morning Gift Pack. For $20, you get 10 pieces- six of her signature gooey cinnamon buns and four of her scones. You buy one, keep the treats in your freezer until the day before, thaw in the fridge for at least 12 hours and then bake for 10 to 15 minutes for your own special warm and fresh Christmas morning treats. Call the bakery to order one soon, and they can be picked up until Dec. 24 at noon. To find out about all of Auntie Loo’s specials and treats, visit http://www.auntieloostreats.ca . And if you’re feeling super enterprising, or miss Auntie Loo’s deadline, here is the cinnamon bun recipe that I use. Roll out dough into a 12 x 9 inch rectangle. Spread dough with margarine/sugar mixture. Roll it up into a 12 inch long log. Cut into 12 equal sized rolls and place cut side up in two lightly greased round pans. There will probably be extra marg/sugar mixture so apply it to tops and bottoms of buns. Turn on oven to about 200 F. Put buns in, and then in five minutes turn it off. Let them continue to rise for another 15 to 20 minutes or so, until bigger and poofier. Switch oven to 375 degrees F (190 degrees C). Bake in the preheated oven for 20 minutes, or until browned. Undercooking is better than overcooking, so be vigilant. Combine all the ingredients for the glaze in a small bowl and mix until smooth. Let rolls cool a few minutes then drizzle with glaze. Totally with you that vegan cinnamon rolls are the best…I use the recipe on vegweb for Moravian Sugar Cake (http://vegweb.com/index.php?topic=26042.0 – those are mine in the pic!). Ok, I’ve never actually done that, but it sounds fun.